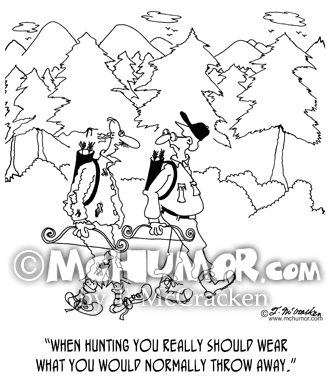 Hunting Cartoon 5213: A bow hunter in rags saying to another, "When hunting you really should wear what you would normally throw away." 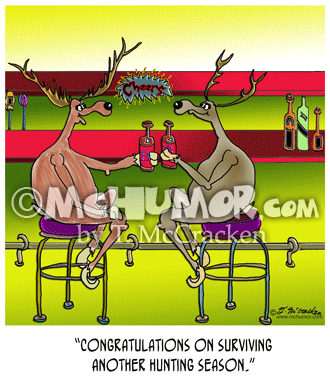 Hunting Cartoon 8321: Two deer in a bar clink beer bottles and say, "Congratulations on surviving another hunting season." 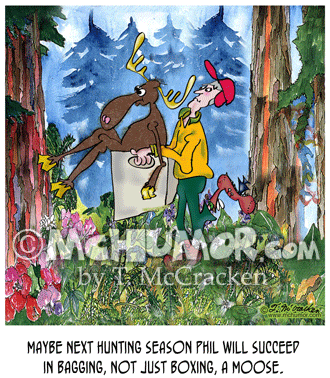 Moose Cartoon 8634: "Maybe next hunting season Phil will succeed in bagging, not just boxing, a moose." 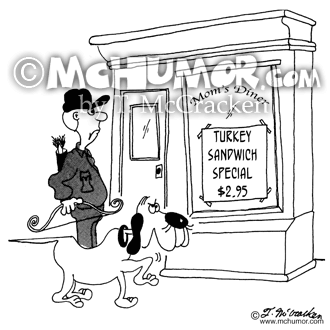 A man carries a moose in a cardboard box. 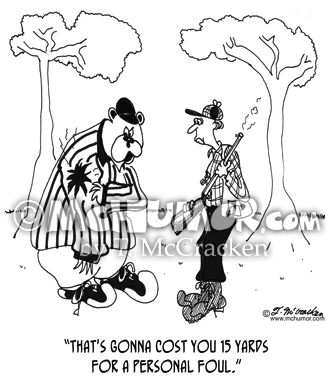 Referee Cartoon 5036: A bear in referee's uniform to hunter who's shot him, "That's gonna cost you 15 yards for a personal foul." 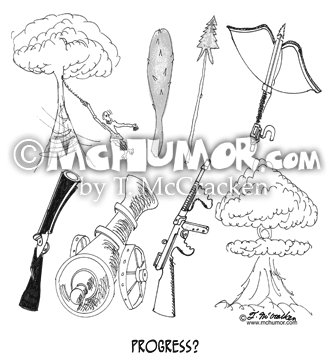 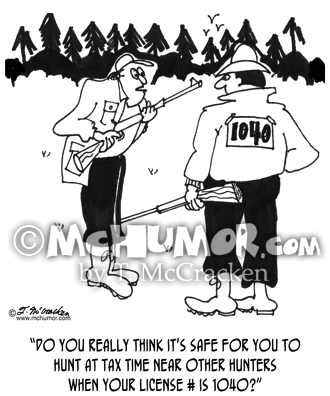 Hunting Cartoon 2964: Hunter with number pinned on the back of his jacket is asked, "Do you really think it's safe for you to hunt at tax time near other hunters when your license # is 1040?" 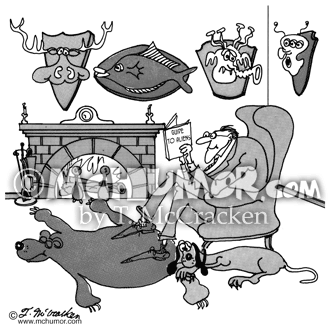 Hunter Cartoon 5266: A hunter has a Martian’s head in amongst his other hunting and fishing trophies. 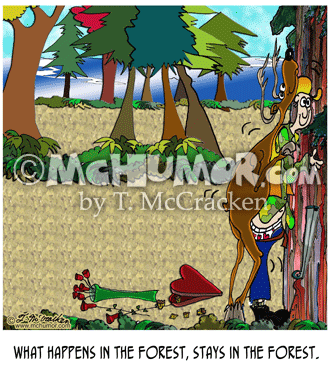 Deer Cartoon 8266: A deer hugs a hunter. 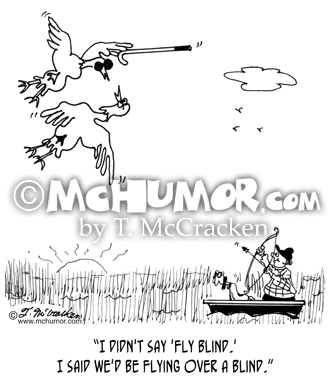 “What happens in the forest, stays in the forest."